There has been a new issue surfacing when installing or upgrading to vCenter Server 6.0. The error message seems pretty clear: Incompatible MSSQL version with vCenter Server 6.0. If you dive a little bit deeper and look at additional logs like vminst.log or the CollectRequirements_com.vmware.vcdb_date.log you will see the following entries. vcsInstUtil-2562624| I: ParsePreUpgradeOutput: Export disk req: 0 MB, Import disk req: 0 MB. 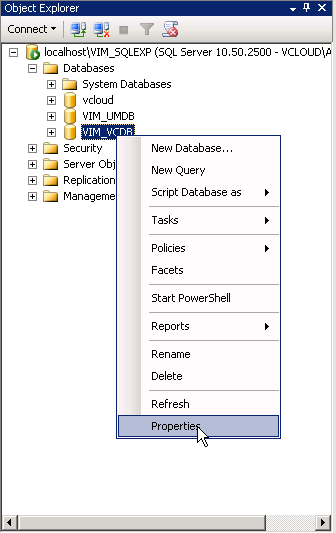 Resolution: Make sure your database is configured to meet vCenter Server upgrade requirements." 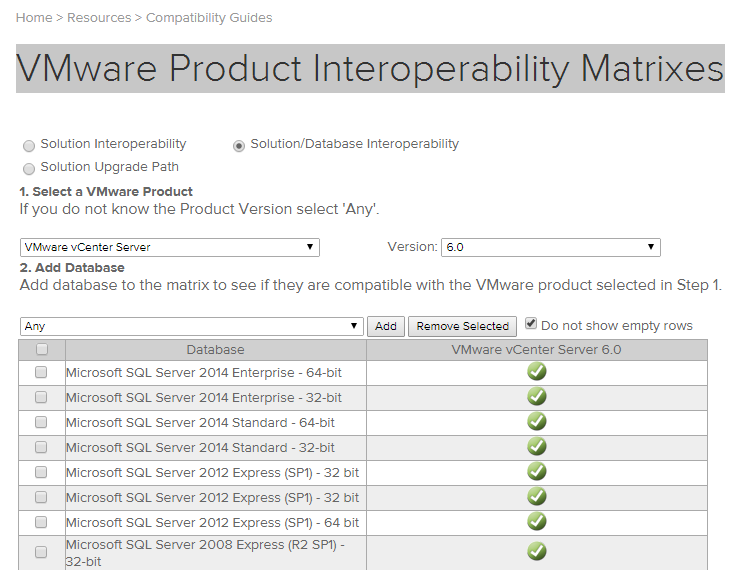 It is important that you first make sure to check the Interoperability Matrix to ensure that the database you are using is supported. You will need to check the radio box Solution/Database Interoperability and select both VMware vCenter Server and 6.0 from the drop down boxes. Note: These are not all-inclusive, I just took the top several rows as an example. You also want to check the database version, and compatibility level; you can do this by running the SQL query below or by using the GUI. You will want to ensure that the compatibility is set to SQL Server 2008 or higher. After you change the compatibility level, you should be able to re-run the install or upgrade successfully! We are planning to upgrade our ESXi hosts where our SQL 2008 R2 SP1 virtual machines cluster are hosted to vSphere 6U1. Do you know if this upgrade is supported by Microsoft? I am not sure, your best bet is to contact Microsoft to confirm. Hi Sir I am experiencing this issue right now when upgrading our vcenter server 5.5 to 6.0. 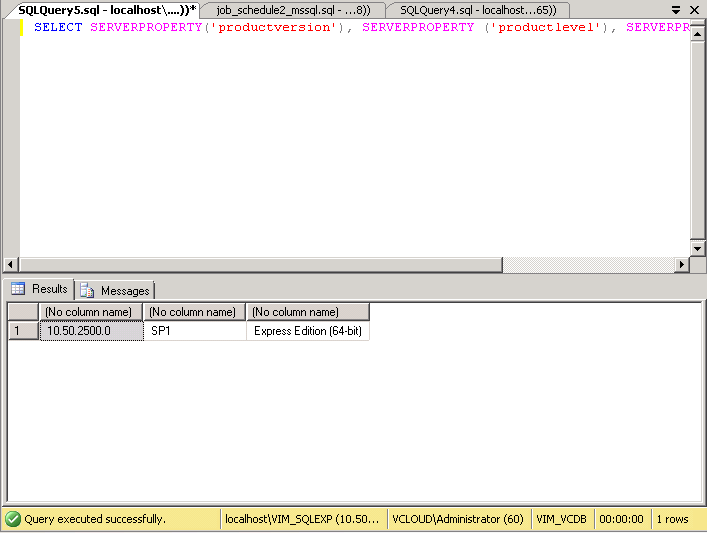 I already set the database compatibility level to SQL server 2008 (100) and still the upgrade won’t continue. I am trying to upgrade our VCenter Server 5.5 update 3 to 6.0, but got this error “incompatible source vCenter Server database version”.